United Planet Faith & Science Initiative is proud to count the following scientific, spiritual and religious leaders among its members. We warmly welcome all of our esteemed members to UPFSI’s effort on behalf of humanity. We also welcome the membership of additional scientists and spiritual leaders. To inquire about membership, or suggest a member, please contact us by email to contact@upfsi.org. To learn more about our Members, click on the their photos below. To return to the overview click on the button. 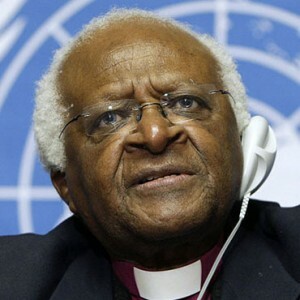 Bishop Desmond Tutu was born in 1931 in Klerksdorp, Transvaal. He was ordained as a priest in 1960 and obtained a Master of Theology from England in 1966. From 1967 to 1972, he taught theology in South Africa before returning to England as the Assistant Director of a theological institute in London. In 1975, he was the first black to be appointed Dean of St. Mary’s Cathedral in Johannesburg. He later served as Bishop of Lesotho and the first black General Secretary of the South African Council of Churches. Archbishop Tutu holds an honorary doctorate from a number of leading universities in the USA, Britain, and Germany. He has formulated his life’s work objective as “a democratic and just society without racial divisions.” More information about Archbishop Tutu can be found at nobelprize.org, or his personal website. Dr. James E. Hansen is an American physicist and climatologist who was integral in raising awareness about climate change through his 1980s congressional testimonies. Dr. Hansen is the lead climate scientist and former director of the NASA Goddard Institute for Space Studies in New York City. He is currently an adjunct professor in the Department of Earth and Environmental Sciences at Columbia University and also serves as Al Gore’s science advisor. Dr. Hansen has received a number of awards and recognitions of his work, including election into the National Academy of Sciences, the Heinz Environment Award, the Dan David Prize, and the PNC Bank Common Wealth Award of Distinguished Service for scientific achievements. You can read more about Dr. Hansen here and on his Columbia University page. H. H. Swami Chidanand Saraswati’s motto is “In the service of God and humanity.” Pujya Swamiji is President and Spiritual Head of Parmarth Niketan Ashram – one of India’s principal spiritual institutes. He is Founder and Chairman of the India Heritage Research Foundation. Pujya Swamiji is Convener of the Sarva Dharma Sansad (Parliament of Religions); Founder and Chairman of Divine Shakti Foundation; General Secretary of Guru Sangamam – a union of indigenous religions; and head of Global Pilgrimage Network – India. He has served in many interfaith summits like the United Nations Summit of Religious and Spiritual Leaders, the World Economic Forum, and the World Conference of Religions for Peace. 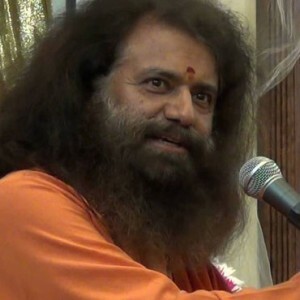 Pujya Swamiji has received many awards, including the Mahatma Gandhi Humanitarian Award, Hindu of the Year, Prominent Personality by Lion’s Club, Best Citizens of India Award, and the Uttaranchal Ratan Award. To read more about Swami Saraswati and his work, visit his website. 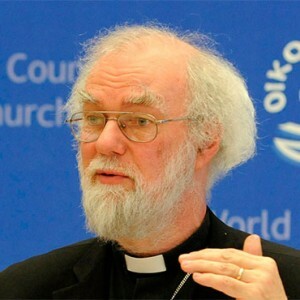 Baron Dr. Rowan Williams is most widely known for his service as Archbishop of Canterbury – senior bishop and chief leader of the Church of England. Dr. Williams was ordained in Ely Cathedral and served as Honorary Assistant Priest at St. George’s Chesterton. In 1984, he became a Fellow and Dean of Clare College followed by Lady Margaret Professor of Divinity for six years at Oxford. He served as Bishop of Monmouth and Archbishop of Wales before beginning his ten-year tenure as the 104th Archbishop of Canterbury in 2002. Baron Williams is now the Master of Magdalene College at Cambridge University. He was awarded the Oxford Doctor of Divinity in 1989 and holds numerous honorary doctorates. In 1990, he was elected as Fellow of the British Academy. He is an accomplished poet and poetry translator and has published a book and studies on a variety of theological, historical, and political themes. More information about Baron Dr. Williams is available here. 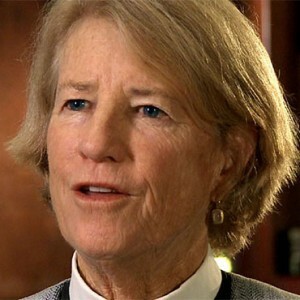 Reverend Canon Sally Grover Bingham is an Episcopal priest and Canon for the Environment in the Diocese of California. She is Founder and President of The Regeneration Project, which is focused on a religious response to global warming called the Interfaith Power and Light campaign. Reverend Bingham is part of President Obama’s Advisory Council on Faith-Based and Neighborhood Partnerships and is a member of the Forum on Children and Nature. 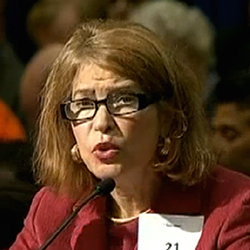 She serves on the board of directors of the Environmental Defense Fund, the Environmental Working Group, and the U.S. Climate Action Network, as well as the national advisory board for the Union of Concerned Scientists. The Interfaith Power & Light campaign and the Reverend Bingham have received numerous awards, including the 2007 U.S. EPA Climate Protection Award, the Purpose Prize, the Energy Globe Award, and commendation as a “sacred gift to the planet” by the World Wildlife Fund. Reverend Bingham’s full bio is available here. Rabbi David Rosen is the International Director of Interreligious Affairs of Global Jewish Advocacy (AJC) and its Heilbrunn Institute for International Interreligious Understanding. Former Chief Rabbi of Ireland and a past Chairman of the International Jewish Committee on Interreligious Consultations, he is a co-president of the World Conference of Religions for Peace; Honorary President of the International Council of Christians and Jews, and serves on the Executive of the World Council of Religious Leaders. 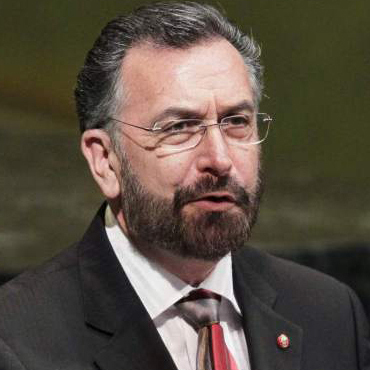 Rabbi Rosen received a papal Knighthood in 2005 for his contribution to Jewish-Catholic reconciliation. He was made a Commander of the British Empire (C.B.E.) in 2010 by H.M. Queen Elizabeth II for his work promoting interfaith understanding and cooperation. More information about Rabbi David Rosen can be found here. Phra Brahmapundit is currently Rector of Mahachulalongkornrajavidyalaya University (MCU), Ecclesiastical Governor of Region II, Chief Abbot of Wat Prayurawongsawat in Bangkok, and a member of the Secretariat to the Executive Committee for the Supreme Patriarch of Thailand. His Ph.D. thesis, written in English and published as: Selflessness in Sartreย’s Existentialism and Early Buddhism, has been reprinted many times. In August 2000, he was invited to give a lecture, entitled A Buddhist View on Conflict Resolution, to the Millennium World Peace Summit of Religious and Spiritual Leaders at the United Nations in New York. Previously known as Phra Dharmakosajarn, he was given the new title of Phra Brahmapundit by His Majesty, the King of Thailand, on December 5th, 2005 in recognition of his continuing contributions to the Sangha and the broader society.More information about Phra Brahmapundit can be found here. Dr. Donald Kennedy works on the intersection of science and public policy and earned his AB and Ph.D. in biology from Harvard. He served as Stanford University Chairman of the Biology Department as well as Chairman of the Human Biology Program, which he helped create. In 1977, Dr. Kennedy became the U.S. Food and Drug Administration Commissioner. He returned to Stanford in1979 to serve for a year as Provost and then for twelve years as President. His present research involves interdisciplinary studies on trans-boundary environmental issues like land-use changes, economically driven alterations in agriculture, climate change, and regulatory policy development. 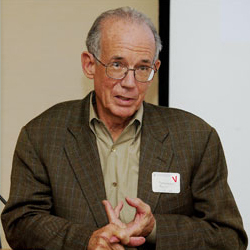 Dr. Kennedy was elected to the National Academy of Sciences in 1972 and is a Board Member of the Health Effects Institute and the California Nature Conservancy. He currently serves as Director of the Carnegie Endowment for International Peace and is Co-Chairman of the NAS Project on Science, Technology & Law. He was Editor-in-Chief of Science Magazine from 2000-2008 and is a published author. More information about Dr. Kennedy can be found here. His Eminence Archbishop Serafim (Kykotis) of Zimbabwe and Angola was born in Galataria, Cyprus (1961). He studied theology at the University of Athens (1987) and graduate studies in Patristics at Canterbury, Oxford and Durham. He was ordained priest (1991) and Bishop of Kenya and Tanzania (1997); elected Metropolitan of Johannesburg (2001) and Archbishop of Zimbabwe and Angola (2010). 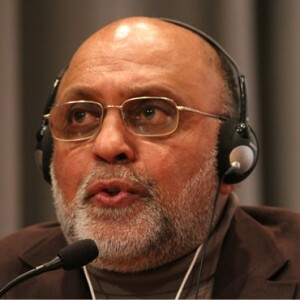 He is a member of the Central Committee of the WCC, of the Southern Africa Faith Communities Environment Institute, and Director of the Office on Climate Change for the Patriarchate of Alexandria. He has authored Church and Environment and participates in the UN COP conferences. Dr. Katharine Hayhoe is an atmospheric scientist and an expert reviewer for the Nobel Peace Prize-winning Intergovernmental Panel on Climate Change. Her life’s work has been dedicated to discovering and communicating the realities of a changing climate to those who will be affected most by it. 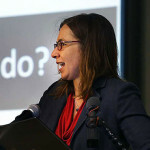 Dr. Hayhoe is an Associate Professor and Director of the Climate Science Center at Texas Tech University, part of the Department of Interior’s South-Central Climate Science Center. As Founder and CEO of ATMOS Research, she bridges the gap between scientists and nonprofit, industry, and government stakeholders to provide relevant, state-of-the-art information on climate change and its effects. She is a published author of over fifty peer-reviewed publications. Dr. Hayhoe is currently co-writing a book called “A Climate for Change: Global Warming Facts for Faith-based Decisions” with her husband, a professor and lead teaching pastor of Ecclesia. More information about Dr. Hayhoe can be found here. 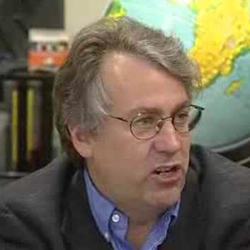 Dr. Kerry Emanuel is the Cecil and Ida Green professor of atmospheric science at the Massachusetts Institute of Technology, where he has been on the faculty since 1981, after spending three years on the faculty of UCLA. Professor Emanuel’s research interests focus on tropical meteorology and climate, with a specialty in hurricane physics. His interests also include cumulus convection, and advanced methods of sampling the atmosphere in aid of numerical weather prediction. He is the author or co-author of over 100 peer-reviewed scientific papers, and two books, including Divine Wind: The History and Science of Hurricanes, published by Oxford University Press and aimed at a general audience, and What We Know about Climate Change, published by the MIT Press. 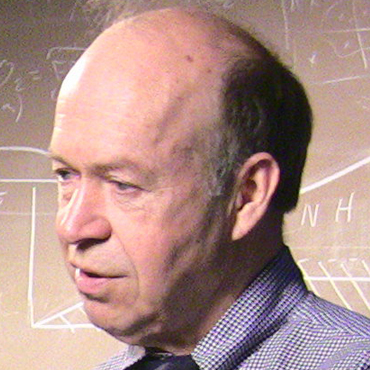 He is a co-director of MIT’s Lorenz Center, a climate think tank devoted to basic, curiosity-driven climate research. More information about Dr. Emanuel can be found here. Dr. Umar obtained his M.A. in Iqbal Studies from Allama Iqbal Open University in Islamabad and his PhD in Philosophy from Punjab University. His specialty is Iqbal – the poet philosopher of Pakistan, Sufism, and the intellectual history of the Indian subcontinent. Since 1984, he has served as Deputy Director and now as Director of Iqbal Academy Pakistan, a research institution focused on the works and teachings of Iqbal. He also worked as a publishing consultant; Academic Director at the Institute of Islamic Culture; Chief Editor of Al-Ma’arif; and later as Visiting Scholar to International Institute of Islamic Thought and Civilization in Malaysia. He is the Founder-Editor of Riwayat, an Urdu intellectual journal, as well as the editor of multiple other journals about Iqbal, religion, arts, and sociology. 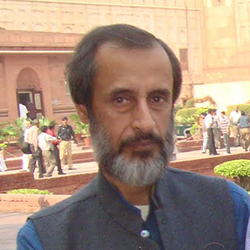 He has contributed many articles on Islam and literature to reputed academic journals and published works in English, Urdu, and Persian on Iqbal, Islamic Studies, literature, and Sufism. For more information about Dr. Umar, see here. 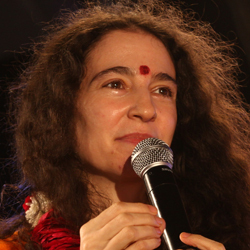 Sadhvi Bhagawati Saraswati, PhD was raised in a traditional American family. After graduating from Stanford University, while completing her PhD, she journeyed to India on what she thought would only be a short visit. A deep spiritual experience transformed her life and she has been living in Rishikesh, India at the world- renowned Parmarth Niketan Ashram for nearly twenty years. In 2000, she was initiated into the order of sanyas by her Guru, Pujya Swami Chidanand Saraswatiji. She is Founder and President of Divine Shakti Foundation, which runs free schools and women’s vocational training and empowerment programs. Sadhviji gives presentations on topics such as Indian spirituality, the bridge between science and spirituality, the keys of true happiness, and meaning in daily life. She also teaches meditation and oversees an array of humanitarian programs at the ashram. She was also Managing Editor of the monumental project of creating the 11-volume Encyclopedia of Hinduism. Dr. Michael Mann is a Distinguished Professor of Meteorology at Penn State University. His degrees include: B.S. in Physics and Applied Math from the University of California at Berkeley; M.S. in Physics; Ph.D. in Geology & Geophysics from Yale University. Dr. Mann was a Lead Author on a chapter of the Intergovernmental Panel on Climate Change (IPCC) Third Scientific Assessment Report in 2001 and was Organizing Committee Chair for the National Academy of Sciences Frontiers of Science in 2003. He has received a number of awards such as the National Oceanic and Atmospheric Administration’s 2002 Outstanding Publication Award and selection by Scientific American as one of 2002’s top fifty visionaries in science and technology. 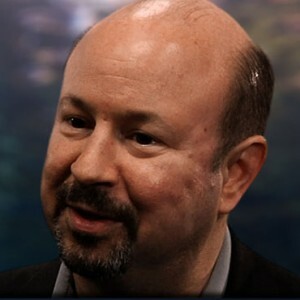 Dr. Mann is author of more than 160 peer-reviewed and edited publications, has published two books, and is a co-founder and avid contributor to the award-winning science website RealClimate.org. More information can be found on Dr. Mann’s website. Dr. Michael Oppenheimer is the Albert G. Milbank Professor of Geosciences and International Affairs at Princeton University. He is also the Director of Woodrow Wilson School’s Program in Science, Technology, and Environmental Policy at Princeton. He is a participant of the Intergovernmental Panel on Climate Change (IPCC), which won the Nobel Peace Prize in 2007 and for which he recently served as a lead author in its Fourth Assessment Report. Dr. Oppenheimer was also involved in the UN workshops that led to the UN Framework Convention on Climate Change and the Kyoto Protocol. He spent more than two decades at the Environmental Defense Fund, for which he now serves as a science advisor. He has worked as a molecular astrophysicist at the Harvard-Smithsonian Center for Astrophysics, and co-founded the Climate Action Network. He has a Ph.D. in Chemical Physics from the University of Chicago and an S.B. in Chemistry from the Massachusetts Institute of Technology. Please visit this website for more information about Dr. Oppenheimer. Hajj Fazlun Khalid is the Founder of Islamic Foundation for Ecology & Environmental Sciences. After a time at University and as a social worker for Lancashire County Council, he was recruited to the Race Relations Board (RRB) in 1968, which subsequently merged with the Commission for Racial Equality (CRE) in 1976. These original equal opportunities organizations set the scene for the eventual formation of the Human Rights Commission in the UK. He worked in a variety of semi-governmental agencies on issues of racism, poverty, debt, and environmental degradation for twenty-three years. Working towards a master’s degree in Islamic Studies at the University of Birmingham in 1990, Hajj Fazlun acknowledged the strong connection between Islam and environmentalism. He edited Islam and Ecology – one of a series of faith and ecology books sponsored by the World Wide Fund for Nature (WWF). He later served as ambassador and Director of Training for Alliance for Religions and Conservation. His social and environmental efforts culminated in the creation of the Islamic Foundation for Ecology and Environmental Sciences, which was formally established in 1994. Please go here for more details regarding Hajj Khalid and his work. Bishop Davies was the first Bishop of the new Anglican Diocese of Umzimvubu. He was educated at the Universities of Cape Town and Cambridge and began his career at St. Mary the Boltons in London. He spent a large portion of his ministry in Botswana and South Africa, eventually taking positions as Rector of Kalk Bay, Director of Mission at Church of the Province of Southern Africa, Suffragan Bishop of St. John’s, and ultimately Diocesan Bishop. He has worked together with his wife as an environmental educator, promoting environmental learning in schools and community-based sustainable agriculture projects. 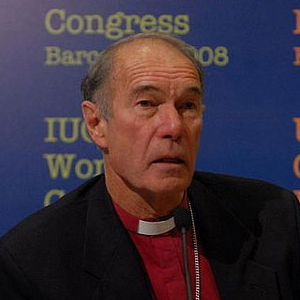 After retiring from the Diocese in 2003, he initiated the Southern African Faith Communities’ Environment Institute – a multi-faith environmental NGO. More information about Bishop Davies and the Institute can be found here. Dr. William Rees is a professor at the University of British Columbia and former Director of the UBC School of Community and Regional Planning. Dr. Rees is most famous in ecological economics for co-developing the ‘ecological footprint analysis’. Widely adopted for sustainability assessments by governments, NGOs, and academics, it has become one of the world’s leading sustainability indicators. Dr. Rees is a member of the Global Ecological Integrity Group, Fellow of the Post-Carbon Institute, Fellow of the Royal Society of Canada, founding member and past President of the Canadian Society for Ecological Economics, and founding Director of the OneEarth Initiative. Rees received the 2007 Trudeau Foundation’s Fellowship Prize for his contributions to public policy and engagement, and the Boulding Prize in Ecological Economics and the Blue Planet Prize in 2012. He earned a PhD in population ecology from the University of Toronto. For more information about Dr. Rees, see here. 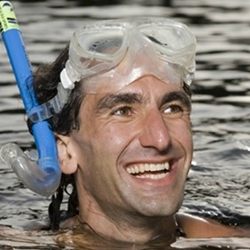 Dr. Mark Axelrod is an Assistant Professor at Michigan State University in its James Madison College of Public Affairs and Department of Fisheries & Wildlife. He holds a PhD in Political Science from Duke University, and a JD from Stanford University. His research addresses cross-issue environmental governance, including how Regional Fisheries Management Organizations address climate change; and analyses of mobile phone impacts on marine fishing in India. 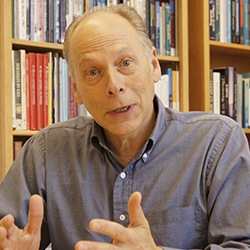 Dr. Axelrod developed case study materials for courses in International Environmental Law and Policy, Democracy and Environment, Public International Law, and International Political Economy. He has co-facilitated a workshop on conservation options for Malawian educators, government, industry, and NGOs. He is a member of the UN and International Development Law Organization program on “Legal Preparedness for Achieving the Aichi Biodiversity Targets”. More information about Dr. Axelrod can be found here. Terry L. Root is a Senior Fellow/University Faculty at the Woods Institute for the Environment and a Professor, by courtesy, in the Department of Biology at Stanford University. Her research addresses how wild animals and plants will adapt or not with global warming. 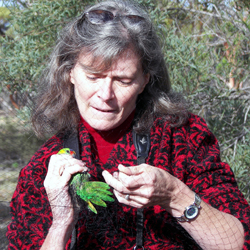 In addition to other honors, Root was awarded the Spirit of Defenders Award for Science by the Defenders of Wildlife in 2010. Root was a Review Editor for the Intergovernmental Panel for Climate Change (IPCC) Working Group II, 5th Assessment Report, and a Lead Author of Working Group II, 3rd and 4th Assessment Reports that came out in 2001 and in 2007, respectively. In 2007, she was one of the IPCC members recognized when the IPCC was co-awarded the Nobel Peace Prize with Vice President Al Gore. Root earned her undergraduate degree in Mathematics and Statistics from the University of New Mexico, her master’s degree in Biology from the University of Colorado and her doctorate in Biology from Princeton University. 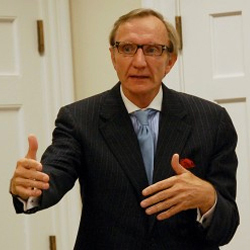 Reverend Richard Cizik is the President and Founder of the New Evangelical Partnership for the Common Good, a faith-based organization committed to fostering values of an open and free society. Prior to this, he served ten years as Vice President for Governmental affairs of the National Association of Evangelicals. Cizik was a participant in Oxford’s Climate Forum 2002, and was instrumental in creating the Evangelical Climate Initiative in 2006. In 2007, Cizik formed a group of leading scientists, evangelical pastors, and professors for groundbreaking dialogues between faith and science and the release of a document called “Scientist and Evangelical Call to Action”. Cizik has authored many publications including his book, The High Cost of Indifference. He served as Co-Chair of the Chicago Council on Global Affairs Taskforce on Religion and the Making of U.S. Foreign Policy from 2008-2010. 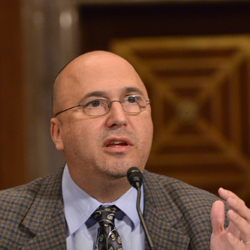 Cizik sits on advisory boards of the Institute on Religion and Public Policy, Duke University’s Nicholas Institute for Environmental Policy Solutions, and the Evangelical Environmental Network. For more information about Reverend Cizik’s work and background, see here. Lise Van Susteren, M.D., is a forensic psychiatrist and climate change activist. She earned her medical degree from the University of Paris and has worked as a physician in Africa and at community mental health centers around Washington; as an Assistant Clinical Professor of Psychiatry at Georgetown University; and as a consultant to the Central Intelligence Agency conducting psychological assessments of world leaders. She has organized conferences and released reports with scientists, medical professionals, and military leaders on the psychological effects of climate change. Van Susteren speaks about the health impacts of climate change in the Washington area, nationally, and abroad to civic, educational, religious, labor, and environmental groups. She is the coordinator of the Interfaith Moral Action on Climate coalition, which enlists activists to address climate change, and the founder of Lucky Planet Foods. See more on Dr. Van Susteren here. 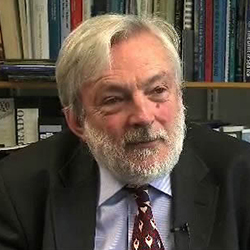 Peter Wadhams Sc.D. is Professor of Ocean Physics, and an oceanographer and glaciologist involved in research concerned with climate change in the polar regions. He is an Associate Professor at the Laboratoire d’Océanographie de Villefranche in France, of the Université Pierre et Marie Curie. He heads the Polar Ocean Physics group and has led over 40 field expeditions. He began his career as a research assistant on the Canadian ship “Hudson” on the “Hudson-70” expedition (1969-70), which accomplished the first circumnavigation of the Americas. He was Director of the Scott Polar Research Institute, Cambridge (1987-92) before moving to his present position. He has been awarded the Polar Medal by HM the Queen and the Italgas Prize for Environmental Sciences. He is a member of the Scientific Committee of the European Environment Agency, Copenhagen, and a Member of the Finnish Academy. For more information about Dr. Wadhams, see here. The Rev. 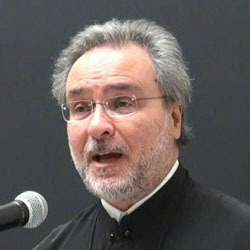 Dr. John Chryssavgis, Archdeacon of the Ecumenical Patriarchate, was born in Australia, studied theology in Athens, completed his doctorate in Oxford, and has taught theology in Sydney and Boston. After a retreat on Mount Athos, he co-founded St. Andrew’s Theological College in Sydney. The Rev. Chryssavgis is the ecological advisor to the Ecumenical Patriarch of the Orthodox Church. As a member of the Office of Ecumenical and Inter-Faith Affairs of the Greek Orthodox Archdiocese of America, he coordinates the Social and Moral Issues Commission of the Orthodox Churches in America. His publications include Light Through Darkness: the Orthodox tradition (Orbis); Beyond the Shattered Image: Insights into an Orthodox Christian Ecological Worldview (Light and Life); and In the Heart of the Desert: The Spirituality of the Desert Fathers and Mothers (World Wisdom). He edited three volumes containing select writings of Ecumenical Patriarch Bartholomew (Fordham University). Richard C. J. Somerville is Distinguished Professor Emeritus at Scripps Institution of Oceanography, University of California, San Diego, where he has been a professor since 1979. He is a theoretical meteorologist and an expert on climate models and climate change. He received a B. S. in meteorology from Penn State University and a Ph. D. in meteorology from New York University. Somerville’s research addresses critical physical processes in the climate system, especially the role of clouds. He has authored more than 200 scientific publications. He is also the Science Director of Climate Communication, a non-profit science and outreach project which publicizes climate research accessibly and helps both scientists and journalists in communicating climate science to the public. Somerville is an IPCC author and has received awards from the American Meteorological Society for both his research and his popular book, The Forgiving Air: Understanding Environmental Change. More information can be found on Dr. Somerville’s website. Simon Donner is a professor in the Department of Geography at the University of British Columbia. He leads a broad program of teaching and research that investigates how climate variability and climate change influence society and ecosystems like coral reefs. His research group examines a wide range of problems including climate change and coral bleaching, climate impacts on nutrient pollution in rivers, climate change adaptation in the Pacific Islands, and obstacles to public education about climate change. He is also actively involved in public outreach, regularly writing about climate change via the blog Maribo, speaking in public forums, and training students to be better communicators. Simon is currently an associate in UBC’s Liu Institute for Global Issues, Institute for Resources, Environment and Sustainability as well as the Biodiversity Research Centre. He is also an Aldo Leopold Leadership Fellow and a Google Science Communication Fellow. For more on Dr. Donner, see here. Jeffrey Kiehl, Ph.D. is a senior scientist at the National Center for Atmospheric Research, where he heads the Climate Change Research Section. He has conducted over 30 years of research on anthropogenic climate change and his current research addresses changes in Earth’s water cycle. 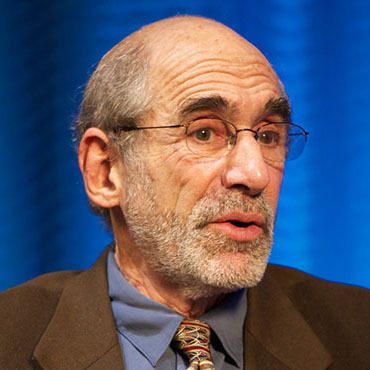 He has chaired the NCAR Community Climate System Model (CCSM) project; been a member of the National Research Council’s Climate Research Committee and the Committee for Global Change; and served on multiple NRC panels. Taking interest in Jungian philosophy and therelationship between humans and nature, Dr. Kiehl completed an M.A. in psychology from Regis University and Jungian Analyst training at the Inter-Regional Society of Jungian Analysts, where he serves as a senior Diplomat Analyst. He works in a similar role at the C.G. Jung Institute of Colorado and the International Association of Analytical Psychology. For more information on Dr. Kiehl, see here. Sister Jayanti Kirpalani is European Director of Brahma Kumaris World Spiritual University and their NGO Representative to the United Nations, Geneva. Based in London, she supervises Brahma Kumaris (BK) activities in over 30 countries in Europe and the Middle East and assists with coordination in 120 countries worldwide. She is a board member of World Religious Leaders of the Elijah Interfaith Institute. She has led the BK delegation and presented at UN Climate Change Conferences (COP) since 2009 and at Rio +20 in Brazil in 2012. In September 2014, she participated in the Interfaith Summit on Climate Change in New York, organized by the World Council of Churches and Religions for Peace. An international speaker and broadcaster, her prominent themes include education, sustainability, racial harmony, women’s empowerment, religion and spirituality, health, international peace and spiritual values. 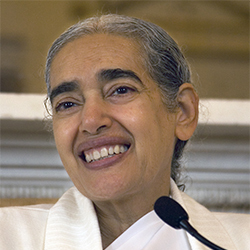 More information about Sister Jayanti, see here. 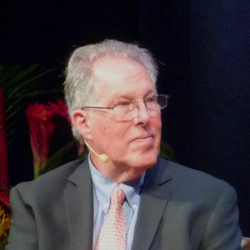 Dr. Michael Kagan is a renowned lecturer on the subjects of ecology and religion with particular emphasis on wisdom that can be gleaned from Judaism. He developed Holistic Judaism that integrates religious ritual, textual studies, movement, and meditation and has created original understandings of the human endeavor based on Biblical references. These can be found in his books 247, The King’s Messenger, and God’s Prayer – a communication from the Divine. He is the co-founder of the Jewish Climate Initiative and was part of the delegation to the ARC Windsor conference in 2009. He has a doctorate in Chemistry from the Hebrew University of Jerusalem and has worked extensively in Israeli start-ups as an inventor and visionary. Reverend Margaret Bullitt-Jonas, Ph.D., the Missioner for Creation Care in the Episcopal Diocese of Western Massachusetts, is devoted to exploring the interplay between spiritual practice and compassionate action. A long-time climate activist, she was arrested at a 2001 interfaith prayer vigil at the Department of Energy to protest Arctic oil drilling. 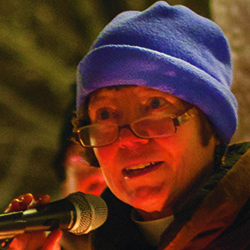 She has been a lead organizer of many climate rallies, including the Interfaith Walk for Climate Rescue (2007) and the Climate Revival (2013). Margaret also preaches, teaches, and leads retreats about the call to care for the Earth. Her third book, Joy of Heaven, to Earth Come Down, offers daily meditations for Advent/Christmas on the sacredness of the natural world. During her 25 years in parish ministry, she also taught courses on prayer at Episcopal Divinity School, led workshops on spiritual direction, and served as chaplain for the bishops of the Episcopal Church. For blog posts and more information, see here. 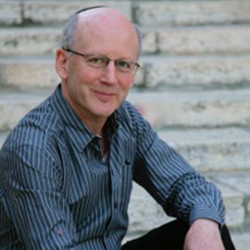 Rabbi Lawrence Troster is one of America’s leading Jewish eco-theologians and religious environmental leaders. He is the founder and coordinator of Shomrei Breishit: Rabbis and Cantors For the Earth and the Rabbinic Scholar-in-Residence of GreenFaith, the interfaith environmental coalition in New Jersey. He is also the creator and former director of GreenFaith’s Fellowship program. 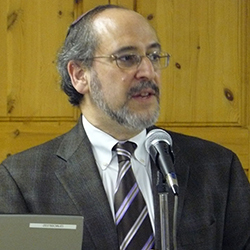 Rabbi Troster is a member of Al Gore’s Climate Reality Project Leadership Corps and Rabbi-in-Residence of Iona Spirituality at Iona College. He was the Rabbinic Advisor for Hazon and Rabbinic Fellow for the Coalition on the Environment and Jewish Life (COEJL). He contributes to Huffington Post, has published numerous articles, and has lectured widely on eco-theology, bio-ethics, and Judaism and modern science. With a B.A. is University of Toronto and an M.A. and ordination from the Jewish Theological Seminary, Troster is presently working on a Doctor in Eco-ministry at Drew University. 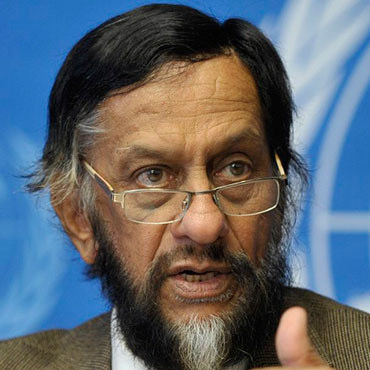 Rajendra K. Pachauri, Ph.D. is Chairman of the Intergovernmental Panel on Climate Change (IPCC). He is CEO of New Delhi-based TERI (The Energy and Resources Institute) and directs the research and development of solutions to energy, environment, and current development patterns. Dr. Pachauri has a Ph.D. in Industrial Engineering and Economics from North Carolina State University. 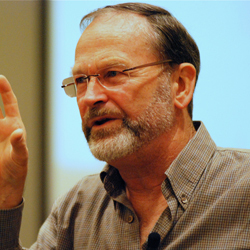 He has co-authored over 130 papers and written or co-written 27 books on energy and the environment. He was the Founding Director of the Yale University Climate and Energy Institute (YCEI) from 2009 to 2012, after which he became the Institution’s Senior Adviser. Dr. Pachauri is currently a Professor in the Practice of Sustainable Development at the Yale School of Forestry & Environment Studies, Honorary Professor of the University of Eastern Finland, and Chancellor of TERI University. For more information about Dr. Pachauri, visit this website. 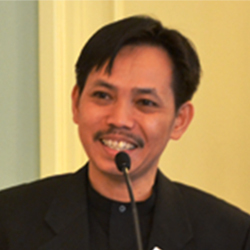 Dr. Fachruddin Mangunjaya is Vice Chairman of Center for Islamic Studies, Universitas Nasional, Jakarta, Indonesia. Dr. Mangunjaya obtained a Ph.D in Environmental Management and Natural Resources from Bogor Agricultural University. He began his conservation career in 1991 as Project Officer in WWF Indonesia. He has authored several environmental and conservation books and more than 200 articles on Islamic environmentalism, climate change, sustainable development, biodiversity, and environmental management in Indonesia. Dr. Mangunjaya is a Climate Reality Leaders Fellow trained by Al Gore and is deeply invested in the relationship between religion and the environment. He is the Lead Writer for Indonesian Biodiversity Action Plan (IBSAP) (update 2014-2020); and involved with the Istanbul Declaration for Muslims Seven Year Action Plan for Climate Change (M7YAP), Greening Hajj Initiative for Indonesia. He has also taught courses in environmental politics and biology at Universitas Nasional. 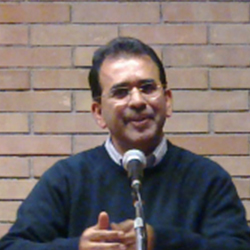 Joshtrom Isaac Kureethadam, a Catholic priest, is professor and Chair of Philosophy of Science at the Salesian Pontifical University in Rome. He obtained a doctorate in philosophy in 2007 at the Pontifical Gregorian University in Rome on the theme of the philosophical roots of the contemporary ecological crisis in René Descartes and Modernity. He was a Research Scholar to Campion Hall, University of Oxford, U.K. where he is currently an Academic Visitor. At the Salesian University in Rome, he teaches the following courses: Philosophy of Science, History of Scientific Thought, and Ecology and Environmental Philosophy. He is also the Director of the Faculty’s Institute of Social and Political Sciences. Has published in the areas of philosophy of science, history of modern philosophy, environmental sciences, environmental philosophy, and theology of creation. His most recent publication is Creation in Crisis: Science, Ethics, Theology (New York: Orbis Books, 2014). 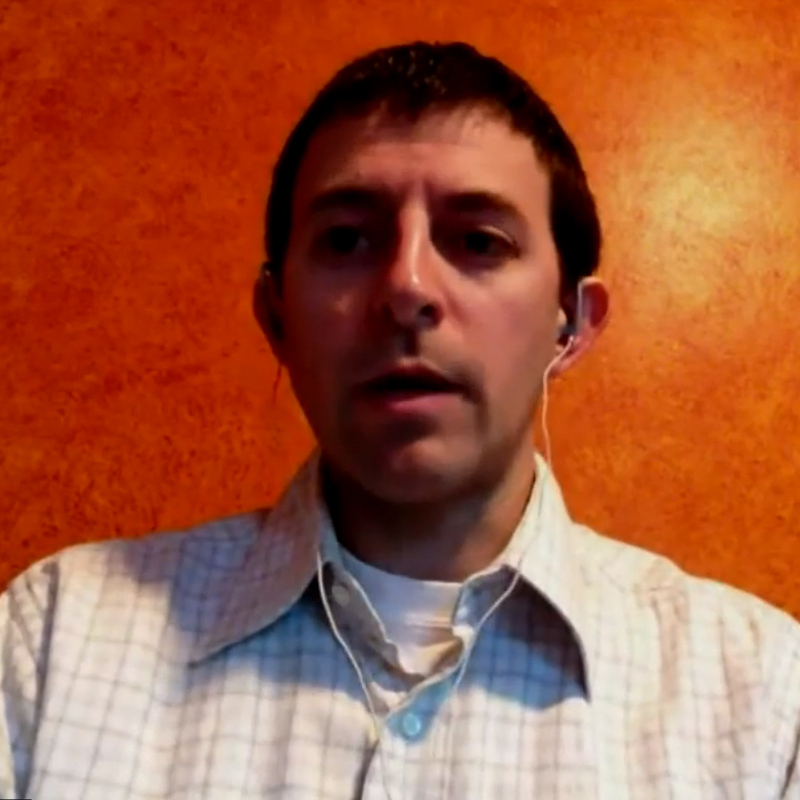 Dr. Andrew Dessler is a climate scientist whose studies focus on both the science and the politics of climate change. His research revolves around climate feedbacks, particularly regarding how water vapor and clouds act to amplify warming from human-emitted carbon dioxide. He is currently a professor of atmospheric sciences at Texas A&M University. He has authored multiple books on climate change, one of which won the 2014 Louis J. Battan Author’s Award. In 2012, he received the AGU’s Ascent Award by from the atmospheric sciences section for exceptional achievement by a mid-career scientist. He was named the Google Science Communication Fellow in 2011 for his outreach efforts. Dr. Dessler served as a Senior Policy Analyst in the White House Office of Science and Technology Policy in 2000. He attained his BA from Rice University and a PhD in chemistry from Harvard. He also did postdoctoral work at NASA’s Goddard Space Flight Center and spent nine years on the research faculty of the University of Maryland. His university homepage can be found here.